How Does it Work and What Does it Cover? How to Buy it and How Much Does it Cost? GAP (Guaranteed Asset Protection) insurance is an additional insurance policy you can take out when you buy or lease a brand new car. If your vehicle became a total loss (written off) after an accident or stolen, this policy is designed to cover the difference between the value you paid for the car initially, or the amount you still owe on it if you’re leasing, and the current residual value of your car (the amount it is worth now). The residual value is the amount that will be paid out to you by your insurance company under standard fully comprehensive car insurance. Unlike traditional car insurance, there is no legal requirement to get GAP insurance, but it is a good idea if you are getting a new car. How Does GAP Insurance Work and What Does it Cover? When you buy a car, the value of it immediately starts to decrease significantly in value – this is known as depreciation. Guaranteed Asset Protection insurance is there to plug the gap between the Residual Value (depreciated value) of your car and the amount you actually paid for it, or still owe on finance. According to the AA, on average, the fair market value (residual value) of your car could lower by 40% in the first year, and up to 60% by the time you reach the end of three years. This means that if you buy a car for £30,000, its insured value at the end of the third year is just £12,000. Should you have an accident whereby your car is written off (defined as a ‘total loss’ by your insurer), or if it were to be stolen, you would only be reimbursed a maximum of £12,000 – and that’s without your excess and other factors being taken into account. If you bought the car on a five-year finance agreement, you could be left owing as much as £17,000 at the time of the loss. Even after the insurance company has paid up in full, you are still short of £5,000, which has to be paid. It might be that the only way you can afford to do so is to continue paying your loan for the remaining two years – effectively paying a hefty monthly amount for a car you no longer drive, while you do your best in a used car you bought with the GAP insurance payout. GAP insurance will pay that additional £5,000 – covering the shortfall and leaving you square. With GAP insurance, you are left with no financial responsibility on your old car, freeing you up to purchase or lease another. Without GAP insurance, you could be facing a financial settlement bill of many thousands of pounds larger than the payout from your standard car insurance company, leaving you to either find this money immediately or continue paying for a vehicle you no longer have. Unlike standard car insurance, there is no legal requirement for you to have GAP insurance. It is an additional product that is available to you, and is there to help you should the worst happen with your car. If it’s just optional, is GAP insurance really worth it? The car value is depreciating quickly. Your finance interest rate is high. You opted for a small initial payment at the start of the finance agreement. Your loan is for a longer term (three years or more). If you have signed up to Personal Contract Hire (PCH) with your vehicle, then GAP insurance can be a worthwhile safety net – you don’t want to end up owing the hire company more than your insurance payout. It is also valuable for anyone keen to replace their car with a new model if anything happened, but would not be financially able to do so in the case of theft or total loss. In such events, GAP insurance would cover you. Some fully comprehensive insurance policies offer a brand new car replacement during the first twelve months of a car’s life. If this is the case, the value of GAP insurance would be zero. You may have a finance agreement that is designed with the gap in mind. Check with your finance company to find out if they provide cover for the difference between the residual value and paid amount for the car. It could be that your personal finances make GAP insurance an additional cost without enough benefit. If you can afford any potential loss and cover the difference yourself, then GAP insurance may not be worthwhile. The greatest depreciation comes within the first three years of a car’s lifetime. As GAP insurance is designed to balance out this issue, it really isn’t relevant for older cars. In fact, most GAP insurance requires you to take it out within 60 days of buying or leasing your new car. In order to obtain any GAP insurance, and for it to be valid at the time of a claim, you must have current fully comprehensive car insurance. Total loss is an insurance term used when the cost to repair your vehicle to its original state exceeds the cost of the vehicle’s worth. At this point, the car will usually be taken by the insurance company for salvage and you will be reimbursed the residual value of the car. ‘Unrecoverable’ refers to vehicles that have been stolen or are otherwise not able to be recovered. As above, you will be reimbursed the residual value (current value) of the car by your main insurer. 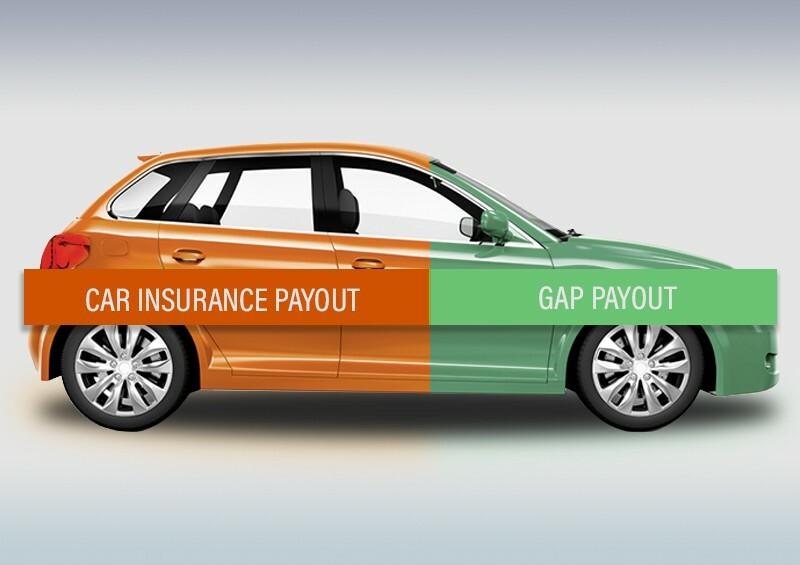 GAP Insurance will pay the difference between the residual value or the remaining amount on any finance, and the original value of the car – depending on your GAP insurance policy and finance situation. For any state other than total loss, the car should be repaired by the insurer and returned to you for your use. Any GAP insurance you have would be untouched. GAP insurance should not be seen as an alternative, or backup for standard fully comprehensive car insurance. It will only pay out should the main insurer do so. This means that if there was a reason why your main car insurance claim was rejected, the GAP insurance claim will be too. An example could be the theft of your car which is rejected by your insurer due to contributory negligence - if you left the keys in your car and walked away, neither your main insurance company nor your GAP insurance company would compensate you for your loss. All parts of the claim with your main insurance company must be successfully completed and settled before GAP insurance pays out. GAP Insurance: What is Excluded? If your main car insurer has chosen to lower a payout due to contributary negligence or residual value, for example, then you will not get any extra from your GAP insurance to cover this. Your GAP insurer will work with your main insurer for any investigation or issues regarding your claim. Consequently, any disputes you have with your car insurer – for example, disagreeing over the final residual value, will not be recalculated for the GAP insurance. GAP insurance will cover up to £250 of excess in the case of a total loss or unrecoverable situation, however, if your excess is higher or there is an additional voluntary excess added, this will not be compensated. GAP cover only includes the cost of the vehicle. Any additional warranty costs or other associated extras are not included. If you have added to your car, by improving the stereo or upgrading the SatNav, for example, then these additions are not part of your GAP insurance. Like most financial products, GAP insurance comes in different ways to suit your needs. The most basic type of GAP insurance, this is designed to make sure you are not left a shortfall between any outstanding finance arrangement and the residual value of the car. It does make sure that you are not left owing any money to the finance company or car hire company, but it doesn’t provide you with anything else – so when everything is sorted, you will still be without a car and without any additional money. A more comprehensive GAP insurance, return-to-invoice can be used for both new and used cars and is designed to pay the difference entirely between the residual value reimbursed by your main insurer and the amount that was actually paid for a car. It is very easy to understand: If you buy a car for £13,000, whether new or used, and it is declared a total loss after an accident with a residual value of £8,500 then you will receive the difference of £4,500 from the GAP insurance. Return-to-invoice insurance is ideal for people who wish to be able to immediately replace their car with a new model following an accident or other incident. It is usually more expensive than finance GAP insurance. Sometimes referred to as Vehicle Replacement GAP Insurance, this is designed to take into account the rising cost of cars and acts as a boost to the more standard return-to-invoice type of insurance. Brand new car GAP insurance will make sure you get the original invoice total back, plus more to cover any inflation or offers that may have affected your initial purchase. Simply put, brand new car GAP insurance makes sure that no matter the circumstances, you are driving away in a new replacement vehicle with the same model and specifications as your old car. Unsurprisingly, brand new car GAP insurance is the most expensive of the options. GAP Insurance is sold as a one-off product. Unlike standard car insurance, there are no yearly renewals – once you have your insurance, it typically lasts for three years. For finance GAP insurance, you should discuss options with the dealer when you buy your car or take out your hire contract. Here at Complete Leasing, we can advise you on the best options – feel free to give us a call to discuss this. How Much is GAP Insurance? Basic finance insurance is usually between £100 and £300 and can be paid either as a lump sum or by direct debt over twelve months. GAP insurance could potentially save you thousands of pounds if you were involved in an accident, so the cost of the insurance is very reasonable considering. You can see our latest leasing deals here. If you know anyone who might benefit from the peace of mind GAP insurance can give, please share our article with them! What Happens If My Leased Car Breaks Down? Is Car Leasing Worth It?